Boccabella grew up in Australia, not too keen on having a funny-sounding last name and generally begrudging of her Italian heritage. But then at the urging of her mother, she traveled to her ancestral town, Fossa in the mountains of Abruzzo, with her boyfriend who more eagerly embraced her culture than she did. That initial experience inspired Boccabella to return years later with her now-husband and spend a longer stretch of time in the family’s homestead; while there, she experiences village life from a new perspective, allowing her to draw connections between past, present, and her own future. There were a few tangents throughout the book that perhaps could have been edited out, but those side bits simply reminded me of walking down my own southern Italian village’s street, where you can get wildly off-course and off-schedule if you so desire. 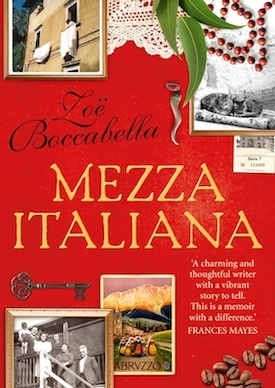 But overall, Boccabella’s writing style is casual yet polished, making Mezza Italiana at true joy to read. This memoir held my attention from start to finish, and I do hope there is a sequel, so I give it four espresso cups out of five. Full of rich descriptions of the landscape, festivals, and above all, the food, Mezza Italiana is a delight for all senses, and I highly recommend it to anyone who enjoys travel memoirs and books about Italy, especially southern Italy. This book is easy to find on Kindle (links throughout the post are to Amazon.com), but harder to locate in paperback. Check out Harper Collins Australia for more information on how you can get a physical copy; I’ve also contacted them, so if you are interested in more info if/when I receive it, please leave a comment or send me a message, and I’ll keep you posted. ** NOTE: I received a review copy of this book from the author; the opinions expressed are my own. 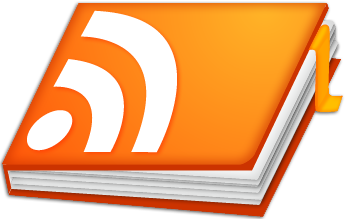 The link in the post above is an affiliate link, which means if you click on the link and purchase the item, I will receive an affiliate commission.